Is The Behringer EUROPORT PPA500BT PA System Diverse Enough? The Behringer EUROPORT PPA500BT PA System is part of a long line of Europort models that aim to provide a portable system for musicians, speakers and more, while also including all the features and sound quality that users come to expect. 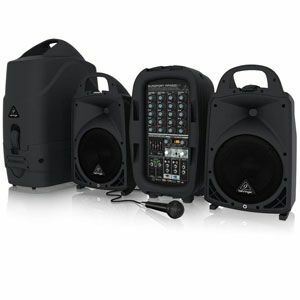 The built-in mixer on this speaker system certainly looks complex and effective enough to meet the needs of most users. There is also hope in the form of the “powerful” 8’’ woofer within the speakers and many other high-end parts. There is a lot here to pique the interest of buyers. But is there enough to keep that interest as they play with the settings at gigs and shows? 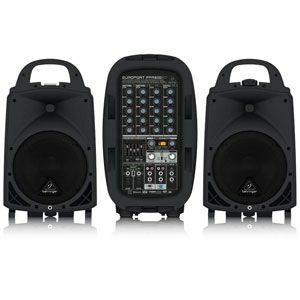 This Behringer EUROPORT PPA500BT PA System offers great connections and outputs for different situations. One of the things that stands out in the product description for this device is that there are so many potential applications. The company talks about the potential for small gigs and speaking arrangements, thanks to the clarity of the sound and the volume across a small room. However, there is also great potential for DJs and those using this at weddings and other parties. This is because of the connectivity to wireless devices. There is also an input for a microphone. This means unlimited playlists and karaoke opportunities. As for that idea of a portable device, this Behringer PA System is surprisingly lightweight at just 44.75lbs. This is significantly lighter than the competition. It also packs up neatly in that suitcase design. There is a strong handle on the top, rather than a fiddly built in one. 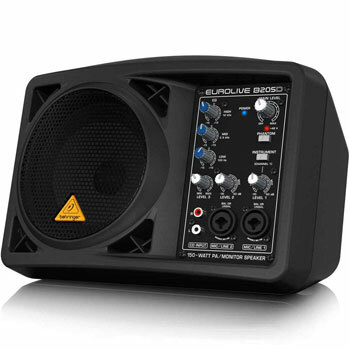 There are still some small flaws that aren’t that uncommon in the Behringer EUROPORT PA Speaker range. There is no doubt that this is a portable system. However, there are some small flaws and omissions that let this model down a little bit. For starters, there are some that struggle with the catches on the suitcase. These catches are meant to improve security in transportation, but can be a little fiddly. Others would like to see a clearer integrated space for cable storage. There is also the idea that they may not be compatible with all speaker poles, which may limit where you can set them up. 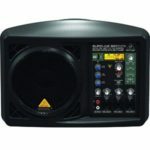 What does this mean for a final verdict on this Behringer PA Sound System? There is little to criticise with this system. There are elements to the portable nature of this speaker set that could be improved. Yet, many are common with this sort of device and users tend to find a way around them. The catches may be a bit useless, but the sound quality, mixers and connections are pretty reliable. 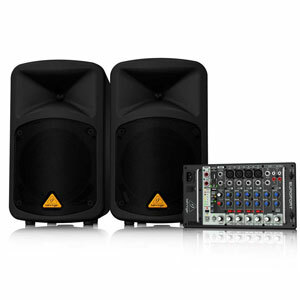 For that reason, it is pretty easy to offer a recommendation for this Behringer PA system – especially for those in the wedding or DJ industry. 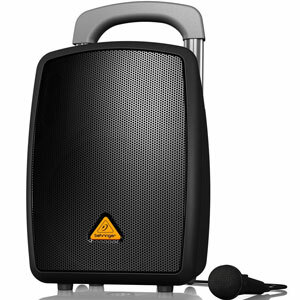 Find more reviews about the Behringer EUROPORT PPA500BT PA System on Amazon here.